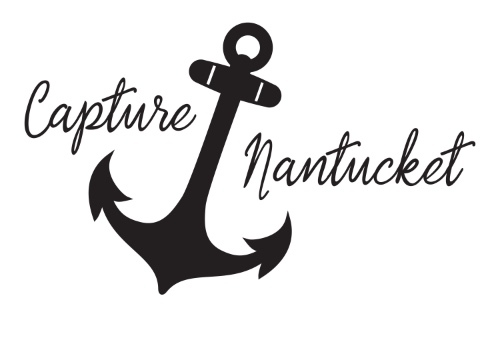 The perfect opportunity to visit and photograph Nantucket’s most historic and iconic spots – We will begin at Brant Point, learning about the history of the lighthouse, while capturing it and the great views of town in the background. Next, we will stop at Steps Beach for one of the best panoramic views of Nantucket Harbor. After that we will head out to the easternmost point of the island, where you will learn about the interesting history of Sankaty Head Light, before finishing with a walk through Sconset, capturing rose gardens and quaint cottages. This is a 4-hour tour. Tours include transport, tutorial and lunch/refreshments. Feeling intimidated by words like ISO, DSLR, white balance, and full-frame sensor, or just prefer the simplicity of your phone? This tour is for you!! Leave the heavy camera at home and learn how to compose and capture interesting images on your phone. With a few pre- and post-shooting pointers and a brief lesson in editing with Google's Snapseed app for optimization, you'll leave with pictures people will think you took with that expensive camera. Tour locations will vary based on time of day. Tours include transport, tutorial and refreshments. This 2.5-hour tour will take us to different locations in Madaket to photograph beaches, birds, piers, lakes and inlets as they change color during Nantucket’s epic sunsets. Learn about adjusting your camera settings to achieve a crisp and colorful look at what can be a tricky time to get good pictures. We will pick you up at your hotel or home and enjoy an informational and fun evening taking photos in Madaket. We will have snacks and refreshments available, and afterward we will take you back home or to town, or drop you at Millie’s for dinner while you’re on this side of the island. Tours include transport, tour/tutorial and refreshments. This 90-minute walking tour will take us through town and its surrounding areas depending on the time of day and conditions. Photograph historic homes and beautiful window boxes, capture the picket fences and cobblestone streets unique to downtown, or walk the harbor at low tide for serene beach and tidal shots. Tour includes transport, tutorial, and refreshments. This 2-hour tour starts in town as we photograph the sunrise near the wharf area and Brant Point Lighthouse. We then head to 'Sconset to capture the historic fishing village in early morning light. Learn how slight adjustments to your ISO, shutter speed and F-stop affect your overall exposure, resulting in beautiful pictures at this time of the morning. Please inquire by email for availability and start times. Coffee is included!